The Subaru Motorsport Parts Network has been established to service the true Subaru Motorsport enthusiast looking for genuine parts and genuine advice. Subaru Motorsport Parts are of high quality, and are specifically designed for Motorsport use by factory engineers who understand the original design philosophy of your vehicle. They are serious components for serious competitors. Maximum Motorsport are Subaru specialists who only race, build, enhance and service Subaru models. More and more competitors and customers are now demanding the latest updates and modifications, and Maximum Motorsport is an established leader for Subaru rally preparation and road car performance. They continue to build and run many cars involved in all levels of the local and international motorsport. Since its inception in 2010, Neil Buckby Motor Sport has grown from a two man passion project to a full time team, developing and supporting rally preparation, maintenance and more. Neil Buckby Motors is a respected Subaru Genuine Motorsport Parts supplier, with an experienced team delivering expert technical advice on all things rally related. Subaru Motorsport Parts are engineered for motorsport purposes only and are not designed for personal, domestic or household use. As such the selling Subaru Motorsport Parts Supplier and Subaru (Aust) Pty Limited (“Subaru Australia”) make no warranties in relation to the Motorsport Parts and they may also not be covered by the Consumer Guarantees under the Australian Consumer Law. Subaru Motorsport Parts must only be installed on vehicles intended to participate in motorsport on closed circuits. Installation of Subaru Motorsport Parts may cause your vehicle to not comply with the Australian Design Rules (ADRs) and consequently your vehicle may become un-registrable for road use on public roads. Installation and use of Subaru Motorsport Parts on vehicles intended for use on public roads may be construed as an unauthorised modification for the purposes of the new vehicle manufactures warranty covering your vehicle. Repair, replacement and adjustment under each of Subaru Australia’s genuine parts warranty and New vehicle warranty are not available for deterioration, defects, faults or failures caused due to use or installation of the Motorsport. 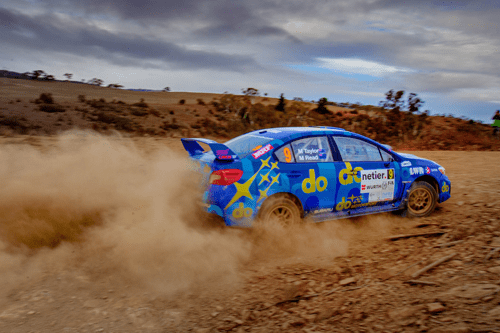 Subaru Australia does not extend either its genuine parts warranty or its new vehicle warranty in connection with the sale, installation or use of Motorsport Parts. Due to increased loads and pressures experienced under race type conditions, many Motorsport Parts are not intended to last for prolonged periods of time (in some cases for a single event only) and consequently all Motorsport Parts must be regularly checked for wear and tear and if necessary be regularly replaced particularly when used under race type conditions. Installation, operation and possession of Motorsport Parts is at the purchaser’s risk and each of the selling dealer and Subaru Australia excludes liability to the purchaser (except to the extent that liability cannot by law be excluded) for or in respect of any loss or damage caused whether by way of personal injury, property damage, delay, financial loss or otherwise arising from or incidental to breakdown or defect in the Motorsport Parts or any accident due to or involving the Motorsport Parts.